BBQs, lemonade stands, pool days, and slip n’ slides…SUMMER IS HERE! But we all know along with all that fun comes lots of free time for your children. 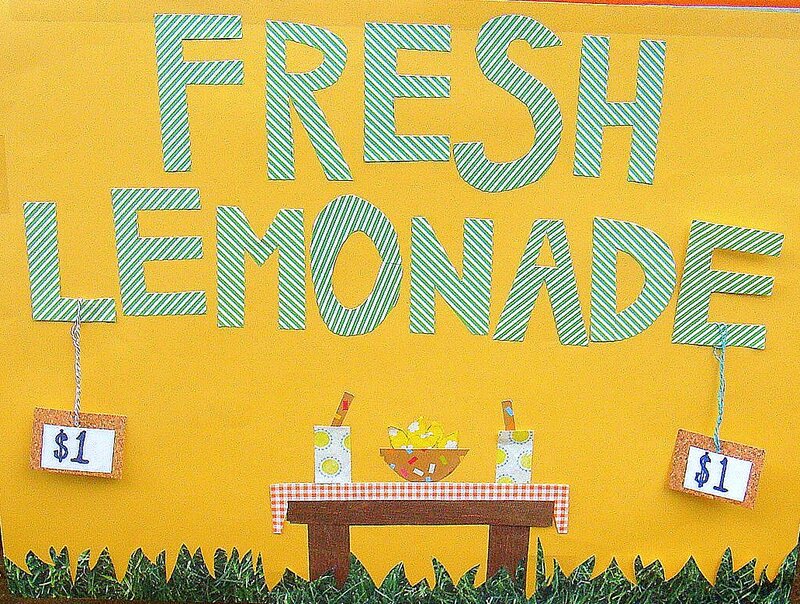 Help your children grow into responsible young adults (and make some money) this summer at a lemonade stand. Teach your children RESPONSIBILITY by having them run a lemonade stand...all while they're making money! DOES ADVICE DO MORE HARM THAN GOOD? From the moment our children are born, we are faced with decisions, both important and mundane. Do we breastfeed or formula-feed? Cloth or disposable diapers? Perhaps one of the most common and important concerns parents face after we have a child is HOW TO GET THE BABY TO SLEEP! So we turn to family, friends, experts, bloggers, books and even if we aren’t looking for help, people frequently offer unsolicited advice! And what do these sources tell us? Tons of conflicting advice. Even today’s “latest research” can contradict yesterday’s “latest research.” Here’s an excerpt from a hilarious blog, entitled “I Read All The Baby Sleep Books,” by Ava Neyer. Is that a riot or what? Talk about “Analysis Paralysis.” That decision alone can make any of us crazy if we don’t just listen to our instincts. WHAT DID PARENTS DO LONG AGO when they couldn’t read or access this information? Do parents know more than they think but are afraid to trust their inner knowledge? As Malcolm Gladwell shares in his book, Blink, experts (and I would add, parents) often make better decisions with snap judgments than they do with a great deal of analysis. So, does advice do more harm than good? I would argue, “no,” as long as we put it in its proper place instead of letting it overwhelm and confuse us. As a mother and grandmother, I can tell you that decisions affecting our children (and grandchildren) do not go away and over time as children get older, the issues can become even more complicated. Sure, we can always benefit from hearing different people’s perspectives and sharing our own with others (that’s part of the fun of being in a parent peer group), but ultimately, we have to listen to ourselves. The answers, if we listen closely enough, are usually within. PS. If you take one piece of advice from me this month, let it be to Lock Your Meds; secure your medication, take regular inventory to be sure nothing is missing, safely dispose of unused meds and spread the word to family and friends. There’s a prescription drug abuse epidemic in our country.